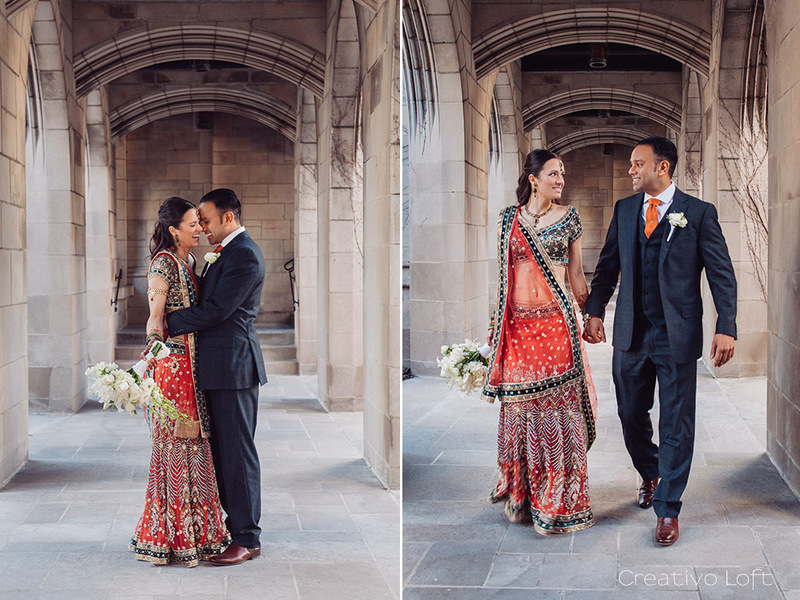 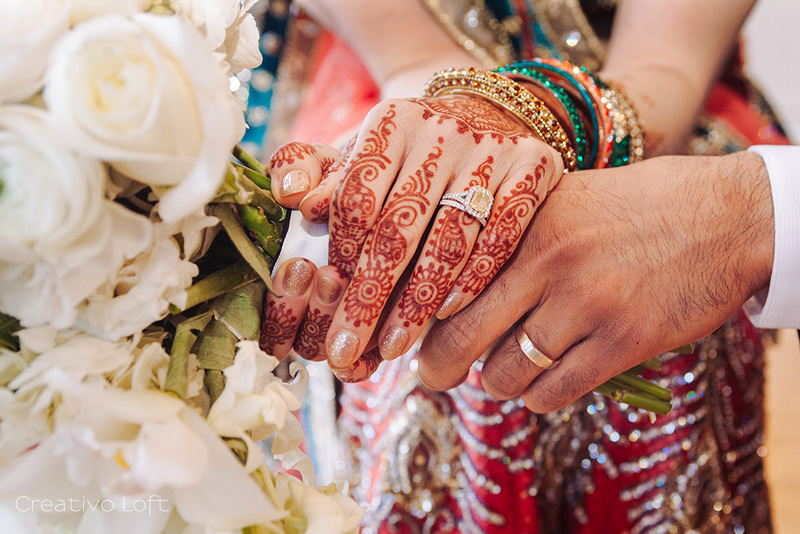 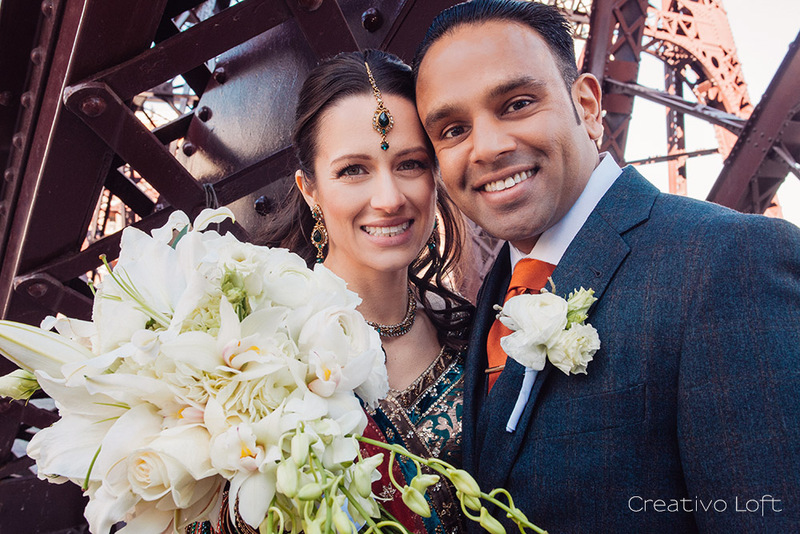 An early spring day in Chicago began with a crisp and chilly start for Michaela & Amit's small Indian wedding. 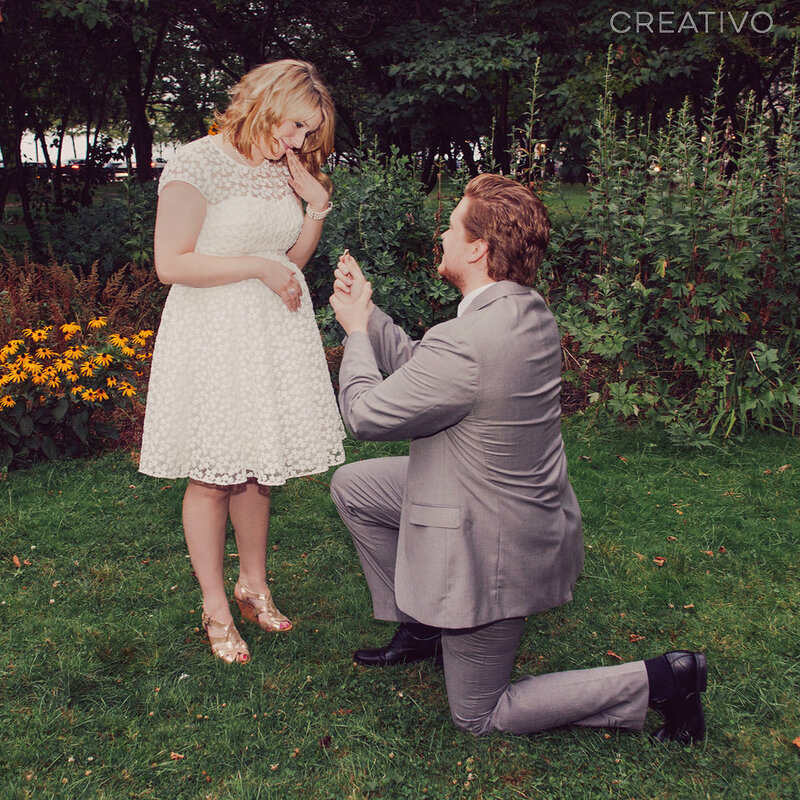 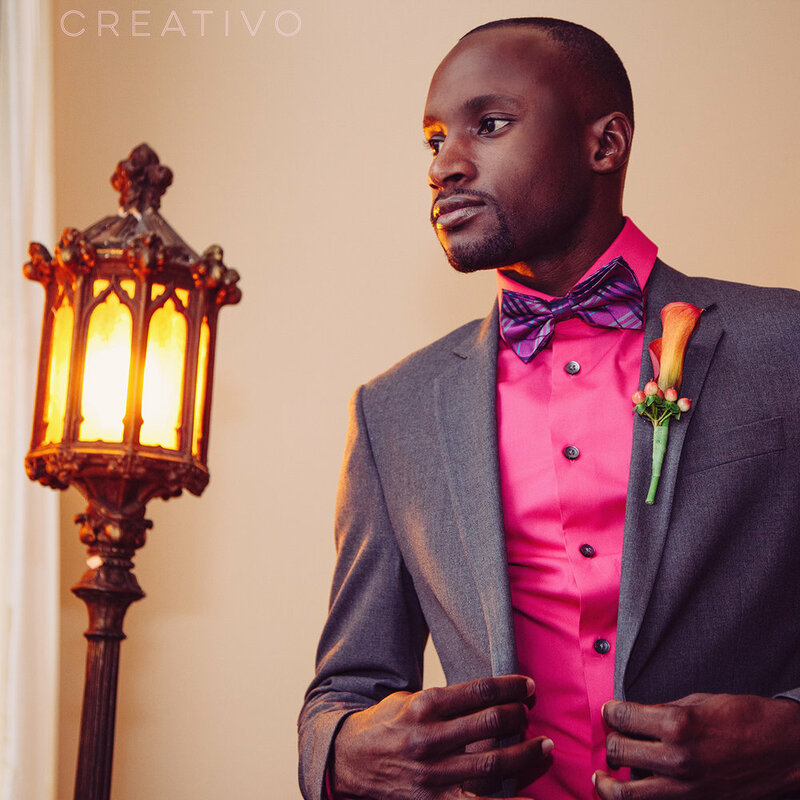 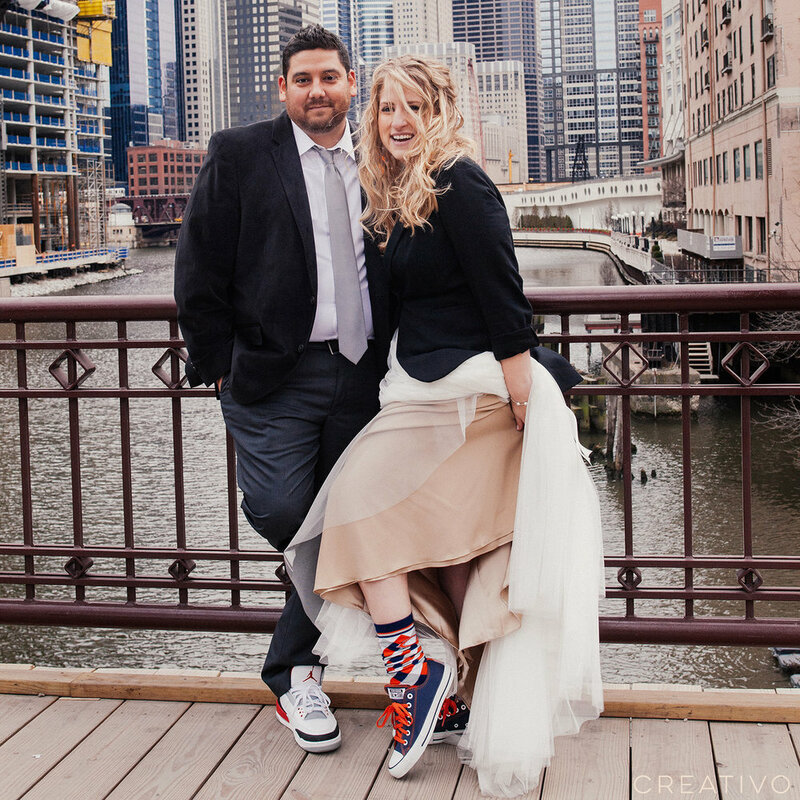 Portraits on the Mag Mile in downtown Chicago were followed by an intimate ceremony and brunch at Creativo Loft. 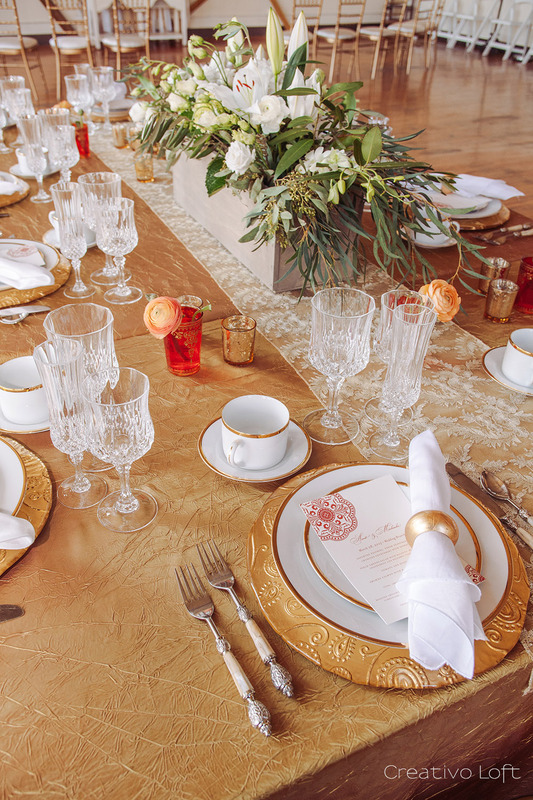 Gold, ivory and orange made up the unique color pallet for this lovely small wedding. 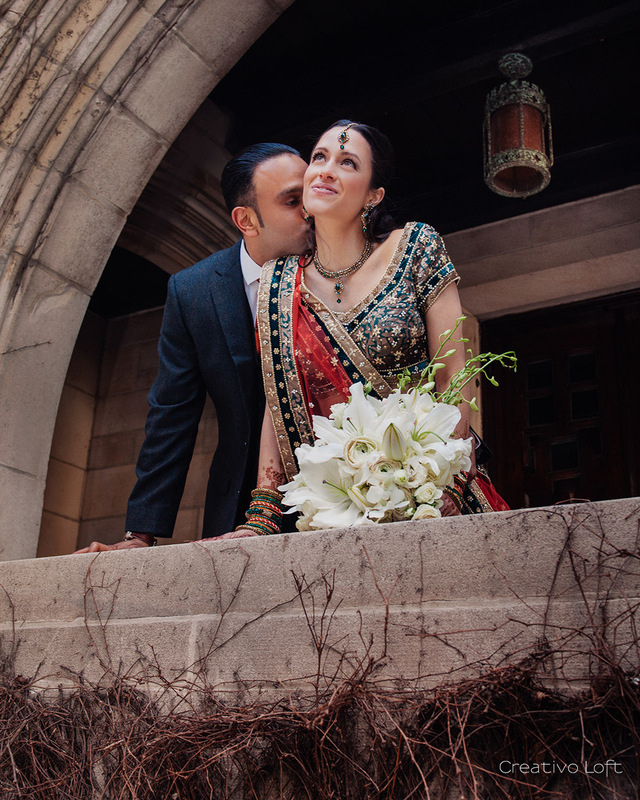 For their Indian theme wedding, we included a few special touches, such as the Indian art inspired menus, gold paisley charger plates, and vibrant orange eastern tea glasses for votive candles. 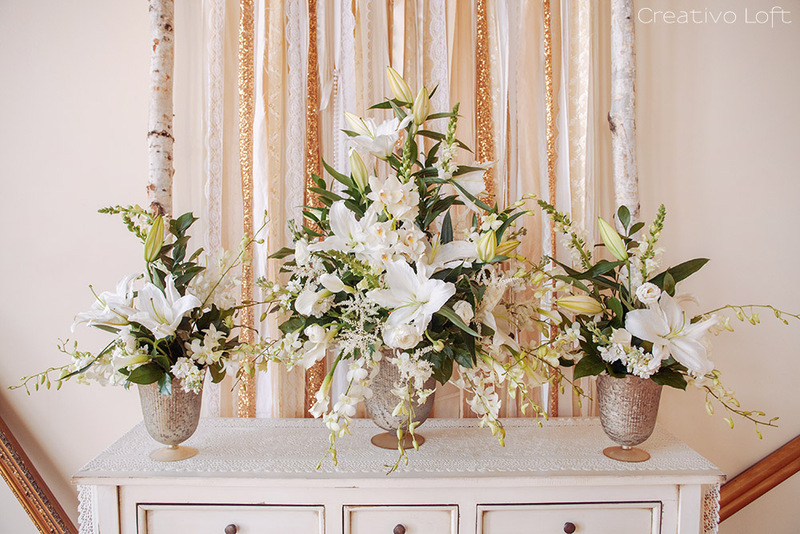 We enlisted the services of Alliance Bakery and Steve's Flower Market to round out the decor with beautiful ivory flowers and unique orange and gold dust wedding cake. 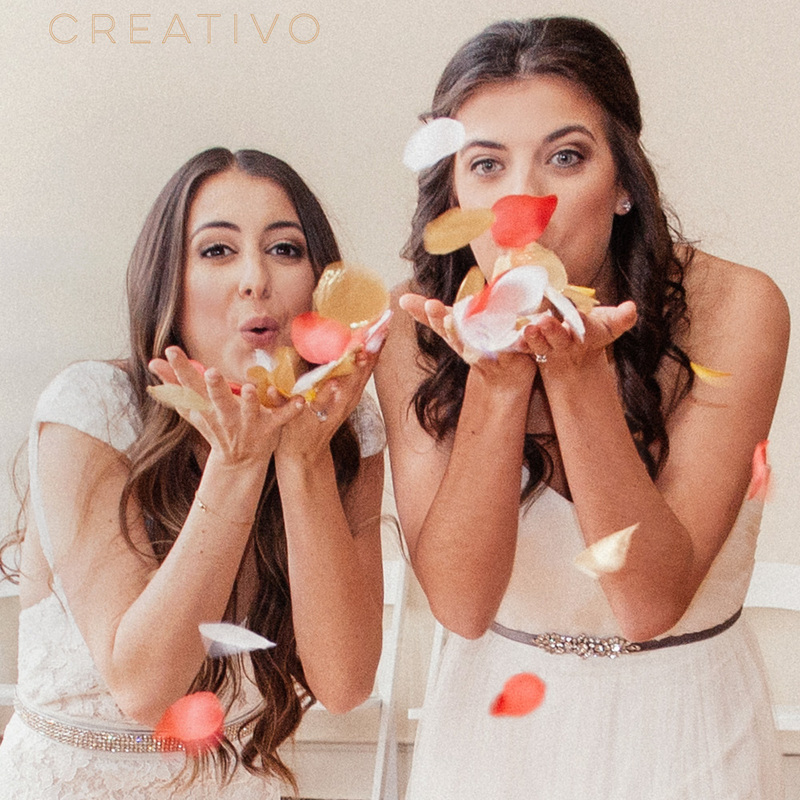 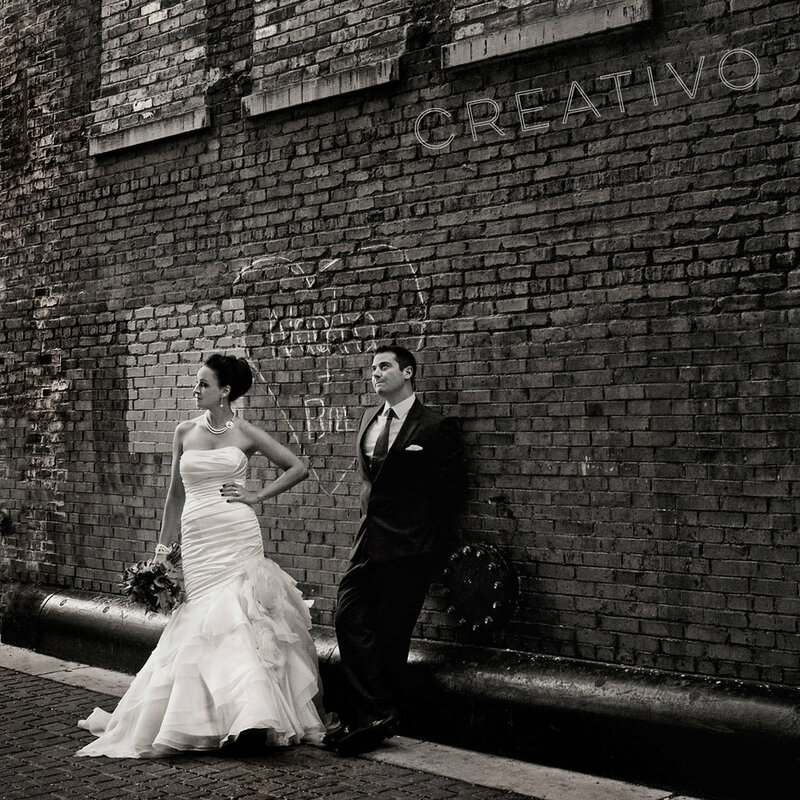 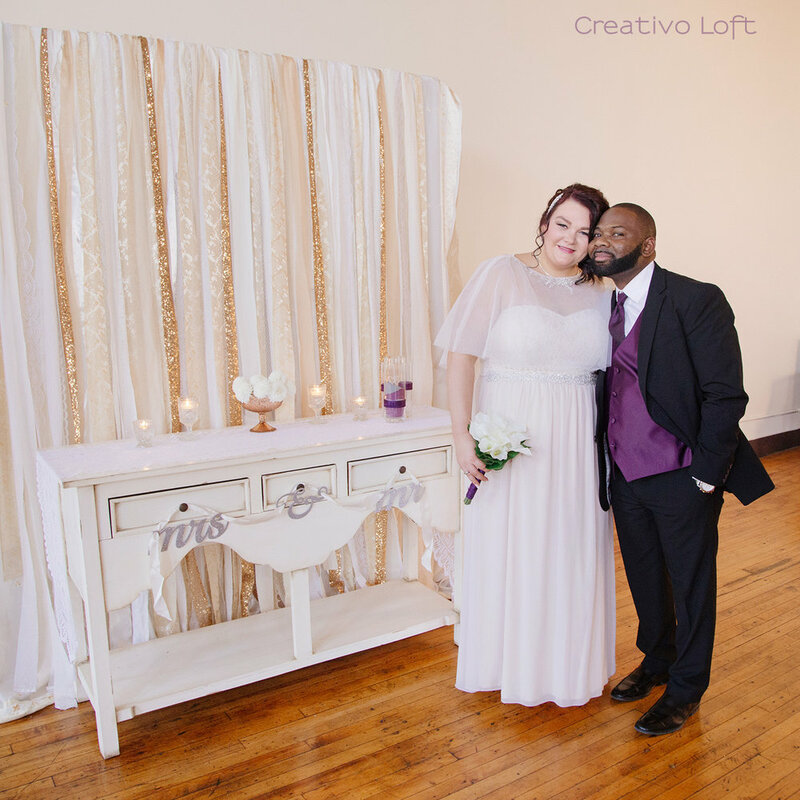 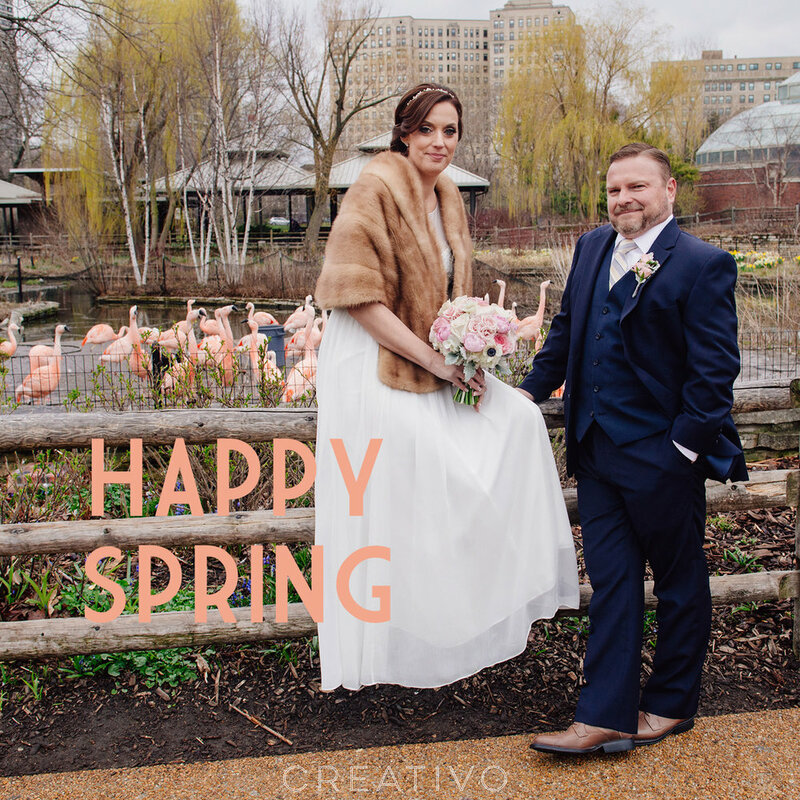 Photography by venue owners Giorgio and Sarah at Creativo Loft.